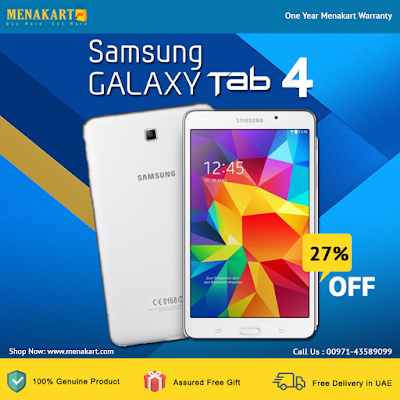 Packed with a host of features, Samsung Galaxy Tab 4 T239 tablet is a user-friendly budget device. It comes with a large 7 inch WXGA multi-touch display on which you can view images and videos with a resolution of 1280 x 800 pixels. With 3 megapixel rear camera of this tablet, you can capture stunning shots. It comes with zoom feature that lets you bring your subject closer to the camera lens. You can take amazing selfies with its 1.3 megapixels front camera. Equipped with 1.2 GHz quad-core processor, it offers responsive navigation across different applications. Android 4.2 Jelly Bean operating system and 1 GB RAM boosts the performance of this Galaxy tablet.